A new 14-day return policy has been introduced by Apple for iTunes sales in Europe in order to comply with some of the new laws concerning online sales that have been established in the territory. These changes have given rise to some worries in the music industry. According to the new laws in Europe, there will be a trial period of 14 days for all online purchases, which also includes digital downloads. The modification was quietly introduced by the iPhone maker in Europe in its terms and conditions this week in order to show compliance with the ‘right of withdrawal’ rules that were implemented by the European Union in June, 2014. 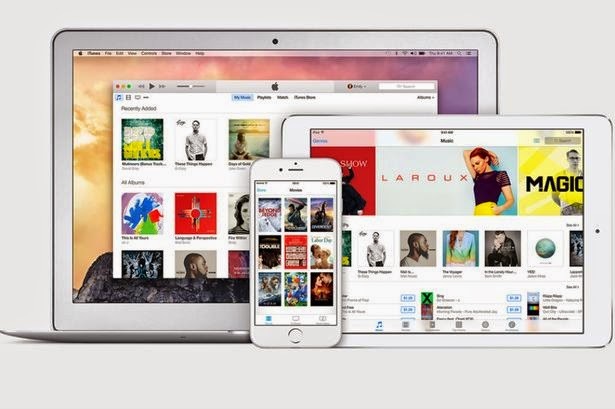 The new guidelines dictate that a customer is now entitled to apply for a refund of any music purchased from the iTunes in Europe. No questions will be asked of the customer from the time of purchase to 14 days later. The only exception was provided in the form of iTunes gift cards, which can only be returned during this period if the code hasn’t been redeemed by the customer. What’s surprising is that iTunes is being more generous than demanded by law. It is stated by the new rules that if the performance has been played on any device, customers cannot return the download. iTunes can use its software to monitor if the download was performed or not. However, Apple states that even if the music has been played on any device, a full refund will still be made. This has caused some concerns in an already struggling and bootlegged industry. Music can become worthless because the customer can download it, copy it and then ask for a full refund with no questions asked. This new policy is only applicable to iTunes within Europe and the Cupertino, California based company has no intention of introducing it elsewhere.